At the age of 10, Iqbal escaped his slavery, after learning that bonded labor was declared illegal by the Supreme Court of Pakistan. But he was caught by police and brought back to Arshad and told him to tie him upside down if he tried to escape again. Soon after, the police were bribed and Iqbal was tied upside down anyway. 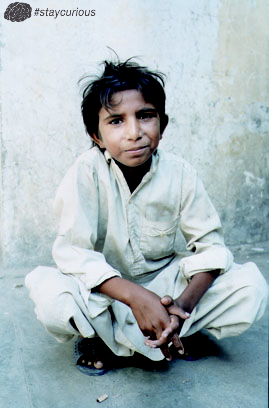 Iqbal escaped a second time and later joined the Bonded Labour Liberation Front (BLLF) of Pakistan to help stop child labor around the world. Iqbal helped over 3,000 Pakistani children that were in bonded labor to escape to freedom and, he made speeches about child labour throughout the world. Iqbal decided to receive an education during this period, and completed four years of schooling within two years.DeathEdit Iqbal was fatally shot in Muridke on April 16, 1995, shortly after returning from a trip to America. He was 12 at the time. Some say that he was shot by a farmer, some say that he was murdered because of his influence over bonded labor. His funeral was attended by approximately 800 mourners. There is a book called The Little Hero that shares a story of his legacy. At the age of 11, Benjamin Franklin invented a pair of swim fins. He was later recognized by his induction into the International Swimming Hall of Fame.